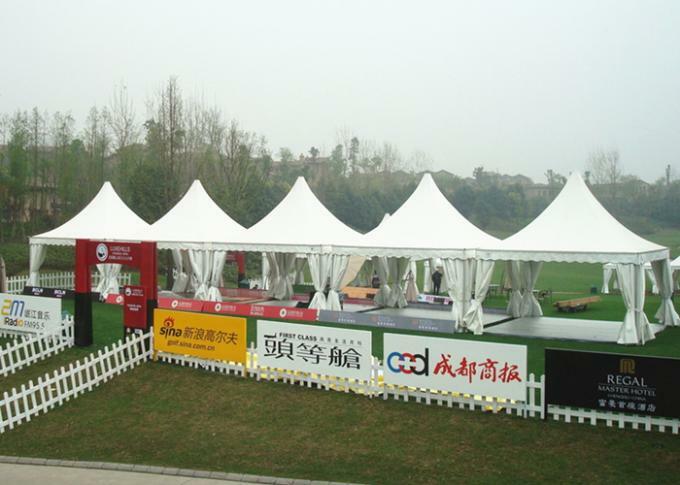 Pagoda tent is popular for outdoor event, expo, trade show, commercial party, wedding storage. The main part is made of aluminum alloy frame and double coated PVC fabric. All aluminum components are technically anodized and all steel parts are well hot-dip galvanized. 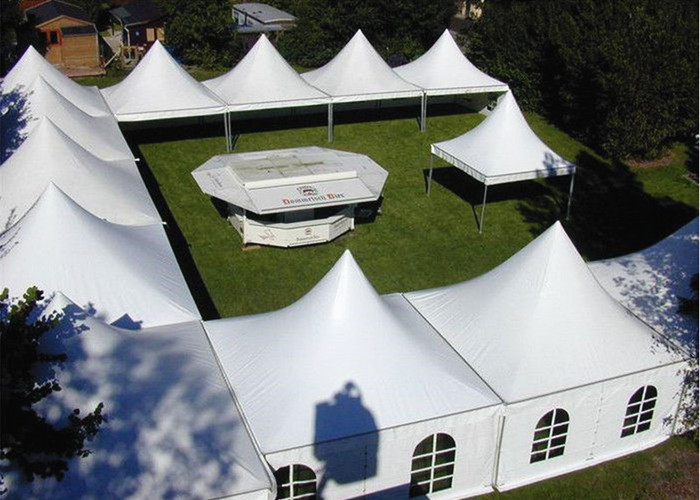 Some pagoda tents can be connected to make up a big ones, for example, 5x5m pagoda tents for 3 sets can be a 5x15m large pagoda tent. The arabian pagoda tent can be used for wedding, ceremonies, outdoor event, party, entrance, gallery and so on.